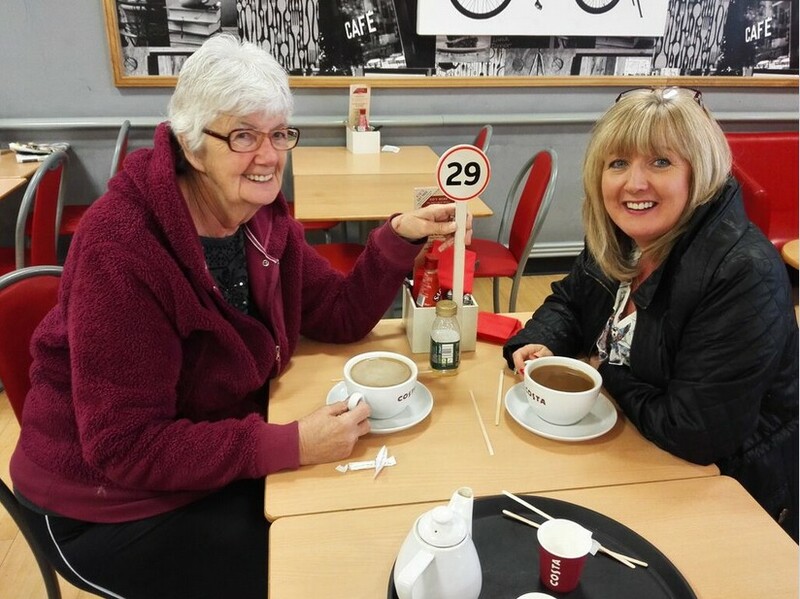 A Mesowarriors Diary Living with #Mesotheloma – Bacon, Sausages and Red Meat Like Asbestos ?? Yes more rain all night long and all this morning but now the sun is beaming again. I love living by the sea when the sun is shinning and you just hope you can stretch the summer out more before the fogs and winter weather moves in. I feel very well again with all the itching under control in fact on the torso it is doing very well with The coconut oil keeping the skin soft and beating the Keytruda skin drying. Im drinking spring water with fruit flavouring and so Im drinking more. This means an extra visit to the bathroom though in the middle of the night. The dog thinking, I have got up, runs with me and I have to make him run back He can’t read the time. Mind you the lad reads my mind. How does he know that I was going to give him a shower yesterday so ran away and hid. There was no clues that I was going to shower him before myself. He does read my mind and this has been proved so many times. 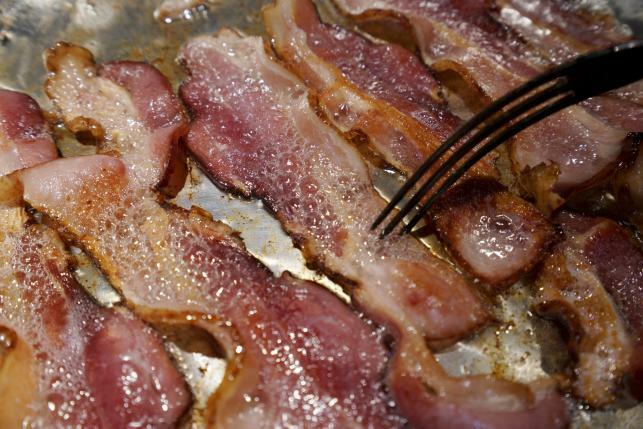 Im finding this very hard to take as Ok Processed meat might cause cancer but to liken it to Asbestos I dont undersatnd. Meat like cigarettes can be avoided by people and so prevent their cancer but Asbestos we didnt that chance. and still dont. We never knew the dangers therefore it could not be avoided. We might smell meat, but it doesn’t get drawn in through our airways to land in our Lungs and lay dormant. 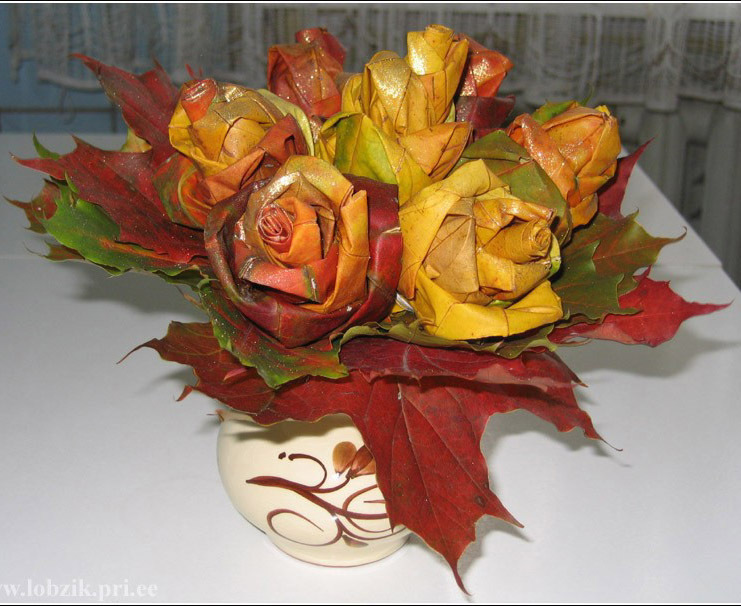 But what it does prove is Chemicals play a huge part in cancer and we do need to get back to natural world. So yes you can avoid processed meat by cooking from scratch and cooking a healthy diet. Lets teach our children catering at school again but also we need to teach people that a meal is easy to cook. There are enough cooking programs on the Telly lets follow them and make nice wholesome meals. Lets slow the world down and make time. I collect many Asbestos pictures from Facebook,Twitter and Linkedin they fascinate me just where asbestos was used. 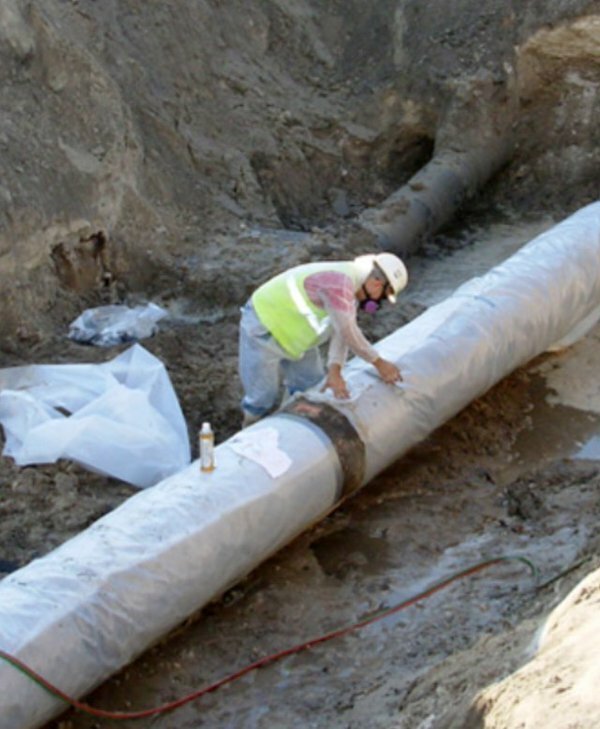 Can you imagine how water passing through these pipes will wear the cement down and so releasing minute fibres into our fresh water system. Digesting asbestos causes peritoneal mesothelioma. The peritoneum is a protective membrane that surrounds the abdomen, or belly. It has two layers, and mesothelioma can develop on both. The parietal layer covers the abdominal cavity, while the visceral layer surrounds the stomach, liver and other organs of the abdomen. Together, the layers support the abdominal cavity as a whole and the organs within it. It is an easier one to treat as Operation is easier than the Lung but then if iit returns it has a bigger area to travelover as all our organs a re covered with a lining. They want all asbestos out of our buildings but where it is hiding will be the puzzle for the surveys to find. I have been living a quiet life involved in my families lives. Buying a hose and moving it is so great to be asked to be involved. Emails of houses “What do you think” Love it when my opinion is asked for, to be needed. My whole world revolved around them for a moment. Exciting times. The Motorhome will have a new drive to park on when we visit. Then I have been reading so much about rules and regulations of Asbestos and working with it. That is a mind field. Reading a lovely Story of a true fighter. We have met up with so many fighters since starting this journey. People I admire so much but this lady I can see a little of myself in her. Maybe it is the courage that you find when You have a terminal illness that you didn’t do anything to cause it.You played no part, People of the past have let you down and allowed Asbestos into our lives. Nobody achieved more than Nancy Tait, who has died aged 89, in raising awareness about the hazards associated with asbestos exposure. Driven by her own search for justice she campaigned for victims of asbestos diseases and helped more than 3,000 families pick their way through a legal and scientific labyrinth. Nancy’s husband, Bill, a Post Office engineer, had died of mesothelioma in 1968. At that time, the link between asbestos and mesothelioma, a fatal cancer, had only recently been established, and Bill had not worked directly with asbestos, although he had been exposed to it. The Post Office denied that he had an industrial disease and refused to accept liability – a stance that provoked what one admirer described as her “genteel bloody-mindedness” into action. She was born Nancy Clark, the daughter of a compositor and educated at Enfield county school for girls. She started her career in the civil service and, during the second world war, was assigned to the Post Office, where she met Bill Tait. They married in 1943. After the war she tried teaching, but found the reality less satisfying than the ambition. Later she worked for the Patent Office and London University, all the while honing her administrative skills. After Bill’s death, Nancy’s campaign for recognition of her husband’s illness as an industrial disease widened into a 40-year-long battle for justice for the many other casualties of Britain’s industrial past. 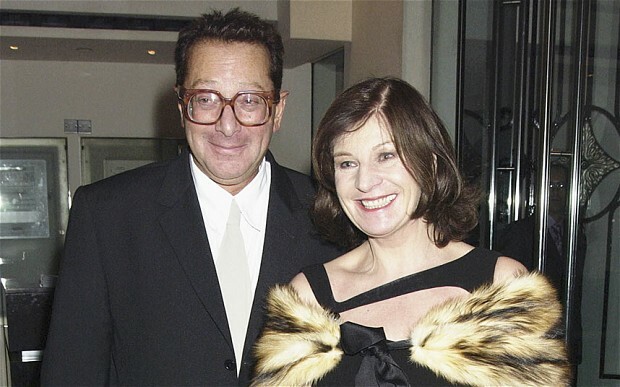 Nancy’s tenacity led the journalist Geoffrey Lean to describe her, in 1999, in the Independent as “a latter-day Miss Marple” who combined “the fictional detective’s benign appearance with incisive shrewdness, gentleness of manner with rugged determination”. Nancy’s self-published booklet Asbestos Kills (1976) generated more media interest. The award of a Churchill fellowship enabled her to visit factories, mines, scientists and government departments across the globe. In 1978 she established a victim support group, the Society for the Prevention of Asbestosis and Industrial Diseases (Spaid), which lobbied for tighter asbestos controls. Nancy worked indefatigably, representing families of asbestos victims at inquests, and, before social security tribunals, in appeals against the DHSS’s refusal to meet claims for industrial disablement benefit. In the 1980s Spaid, by then the Occupational and Environmental Diseases Association (Oeda), purchased its own electron microscope and employed lab technicians as Nancy recognised the need to have technical back-up to support her arguments. Nancy met with formidable opposition, indeed derision from the asbestos industry. 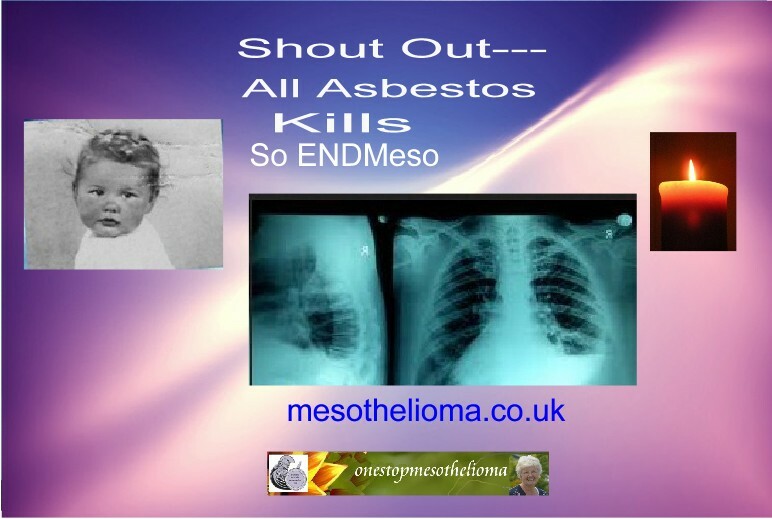 But on all the big issues – low-level exposure causes mesothelioma, white asbestos (chrysotile) is not “safe”, and asbestos dust causes lung cancer in the absence of asbestosis – she was right. She was appointed MBE in 1996 and awarded an honorary doctorate from Southampton University in 1999. In 2005 the Institution of Occupational Safety and Health conferred on her the Sypol Lifetime Achievement Award. The struggle for funding meant that Nancy had to close Oeda in 2008. She also recognised the limits of her own frailty, but she refused to accept that she had “retired”. She is survived by her son, sister and brother. Some say Lou Williams and I are of the same bred as we fight and conquer Mesothelioma with Keytruda. Lou has a Petition running in Australia to get the drug on the free list. I have mentioned before she is paying for the drug. I have given her my story to back this campaign as if Lou wins maybe something can happen Uk to get the drug Fast Tracked through the Phase 3 trial. There are other drugs for those that fail Keytruda but patients should have a chance of the drug. We need hope and My living 16 months 37 infusions next week has to show that Lou and I are doing well when there was no more treatments for either of us. Ray has been republishing my book as we have been selling from time to time and the money going to Mesothelioma Uk every bit helps. We had to go to Westmalling Research Station as the TSSG Lung Tumour Specific Site meeting was taking place in these lovely surroundings. I only have to attend twice a year but I do enjoy being involved with the Medical staff of the East Kent NHS. One by one everyone arrived and lunch had been donated which was all very nice and it was great to meet up with familier faces as I have been involved for 6 years now. Well I listened and I realised that things are getting so very hard for the NHS. Over the years I have seen such a decline in the high spirits of the Doctors and nurses. They don’t talk so much of Trials and procedures but of Targets and Budget and a day to day struggle. A talk on the collection of data was shown that the figures are not being kept by the system correctly . The Doctors are doing their job but one system isn’t talking to another. .All this was doing so well a couple of years ago but the systems keep changing. I really don’t know how the Doctors can keep working when things keep changing. Its all crazy The NHS seems to have grown so big it is impossible to keep track. Government involvement seems to be that they are wanting to head to Privatisation that they are loosing sight of what the NHS is all about. It was a business meeting rather than a day to day catch up on Lung treatment. Then when they spoke about treatment Mesothelioma came up and I can’t believe my ears. They seem to have given up on us. Operations on Mesothelioma is frowned at. with one doctor talking about the fact we patients get a payout and so they say if not operated on here Ok we will pay for the operation in the US. The operations used to treat mesothelioma can have serious risks and side effects, although these depend on the extent of the surgery and the person’s health beforehand. Serious complications of EPP can include bleeding, blood clots, wound infections, changes in heart rhythm, pneumonia, fluid buildup in the chest, and loss of lung function. Most of these are less common with less extensive operations. Because the surgeon must often spread the ribs during surgery, the incision will hurt for some time afterward. Your activity will be limited for at least a month or two. Surgery can remove a mesothelioma from the pericardium (the sac around the heart). Surgery for mesothelioma of the tunica vaginalis, which covers the testicles, rarely cures this cancer. Most of the time surgery is done when the tumor is mistaken for a hernia. The surgeon attempts to treat a suspected hernia and only realizes the diagnosis after the surgery has begun. This kind of mesothelioma typically can’t be removed entirely. For more on surgery as a treatment for cancer, see our document A Guide to Cancer Surgery. We should at least be the ones to decide. It seems that the operations I have listed here are not carried out by our local hospitals nor are they discussed with the patient, maybe if young and fit Hey!! I was old and very fit and I have proved since that I had the strength for an operation. There are options they should not be dismissed. I talked about My experience with Keytruda and a Doctor said there are terrible side effects very bad. I have no side effects I have not heard of one Patients that has had very bad side effects but who was I to argue as I don’t know what is going on in other hospitals with other drugs as I didn’t realise there were other drugs being trialled. My Oncologists showed pictures of a man’s tumour in the neck. A huge tumour that had shrunk. the results are wonderful so why is there so much bad evidence. I really felt we had gone backwards and if I was looking for answers at this point in time there would be none. I go to conferences and listen to all that is done in research but feel that my own NHS is a cottage industry compared to what is going on out there. I don’t know the answer I really don’t Im only a patient but something has to be relooked at, In 6 years chaos is reigning.How do they turn this around?? The problem is to huge. I even forgot to bring up the case of CNS Nurses In East Kent as we have a CNS who is so stretched between 2 hospitals that she cant sit in with every patient and talk with them when 1st diagnosed. Patients dont hear what is being told to them properly as the shock of it all is so awful and your mind goes blank, then when we get out of the consulting room we have a thou send questions going through our minds. .I was traumatized I think. How can an ordinary patient help these wonderful people, gosh if I feel so depressed about it what must they feel like working among it daily. I want to get hold of Mr Cameron and sit him down and tell him to stop all this nonsense and stop wasting money and get to grips with what is happening. Nye Bevan must be turning in his grave. The NHS is a wonderful system that is envied around the world so we must hang onto it. It is sick and it to needs research and a cure. I have been very busy over the past 3 days. Because of some technical issues I have had the enormous task of re publishing maves book. Because the original manuscript is missing and I only had some of it its been a mamoth task. I then had to edit it and after several attempts format it to the right format for publication. God Morning its the day after the Marsden which wasn’t to good. That journey was great even if it was pitch black as we set off. Dawn arrived as we reached the M25 but everyone was driving along very well and we arrived early even though we had stopped for fuel. I had my bloods taken early and was back in the waiting room where Lynn and Richard had also arrived so we had a chin wag. I could feel the wave of weirdness over coming me again. I sat with my head in my hands and then wanted to go to the loo. I got up and everything was going black. I looked at Ray and pleaded Help me. He came with me to the loo and I came back a bit enough to carry on on my own. He was waiting as I came out and we walked back to my chair and I felt a bit better. The doc called me in and he said it was blood pressure. I think it really must be to do with getting up so early never sleeping well on the Monday night before our visit and the worry of the day ahead. Anyway I told him about the rash and itching all over my body. He said take the piriton more regular throughout the day. He looked at the rash at the top of my leg and said it was a fungus so he wrote a prescription out..
We will wait for the scan next time it is all so very routine now. After 36 visits and nothing new going on in pain etc we drift on. We went off to the food hall and I had some toast and gradually the feeling went off it had been very warm and now I was cold but I did recover. The long wait for the drug to be made up but soon I was having my dose of Keytruda and we set off for home early for a change. Anyway the journey home was very good and we arrived home at 4pm which was just great. Using the cream my rash has been comfortable and the coconut oil is keeping my skin so soft so things are looking OK.
Its great that we have such funding as it takes pressure off the NHS and great they are thinking of Mesothelioma in such a high profile way. Dr Dow-Mu Koh obtained his primary medical degree in Singapore (1989). Following further training in internal medicine and diagnostic radiology, he was awarded the fellowship of The Royal College of Radiologists (UK) in 1996. He was Senior Lecturer and Honorary Consultant Radiologist in the Cancer Research UK Clinical Magnetic Resonance Research Group, Institute of Cancer Research, and within the Department of Radiology at The Royal Marsden from 2001–07. He was appointed to the position of Consultant Radiologist in Functional Imaging at The Royal Marsden in January 2008. Dr Koh’s current clinical and research interest is in the development and application of functional imaging techniques for tumour assessment. He has a broad interest in applying MRI, CT and PET imaging for clinical and functional measurements. to monitor the effects of conventional and novel therapeutics. He also has an interest in gastrointestinal, hepatic and renal malignancies. In addition to his research, Dr Koh has also been invited to lecture on numerous conferences and courses, including the UK Radiological Congress, European Congress of Radiology (ECR), International Society of Magnetic Resonance in Medicine meetings (ISMRM) and the Radiological Society of North America (RSNA) meetings. 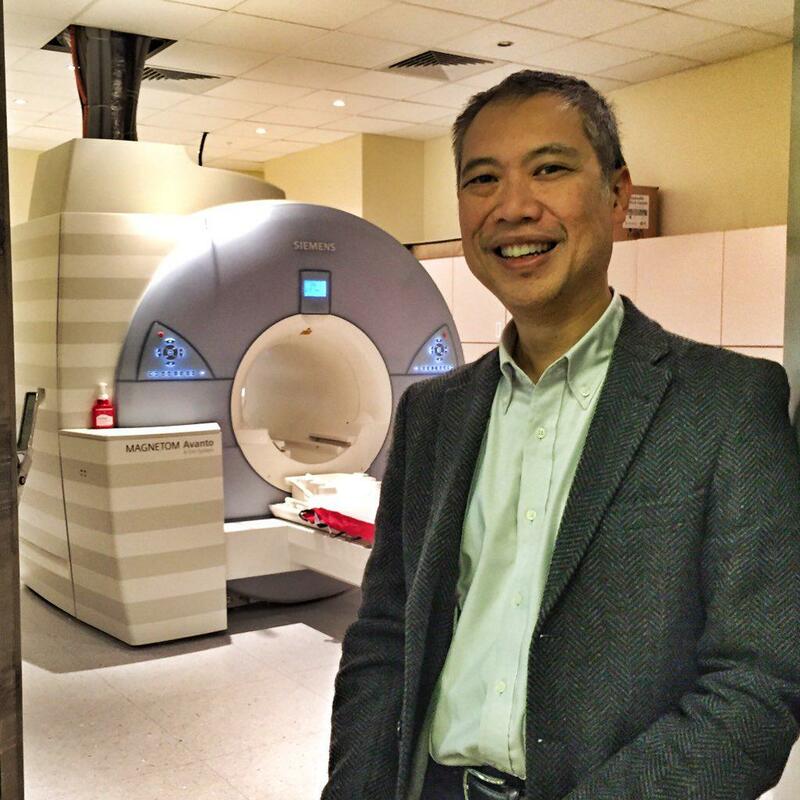 Dr Koh was elected a fellow of the International Cancer Imaging Society (ICIS) (2007) and is currently an associate editor of the British Journal of Radiology. Dr Koh has had numerous publications in peer-reviewed journals and textbooks. In 2009 he co-edited a book, Diffusion-weighted MRI: Applications in the Body, published by Springer. We are so lucky to have such great people in our NHS and such dedicated Doctors. Its something all us Mesowarriors have noticed the passion they have for us and our care. A Meowarriors Diary Living With Mesothelioma A lovely Sunday but a Fire at the 02 and Children Removing Asbestos Tiles REALLY ?? I have got the itching under control but now I have a fungus growing on the dry skin on my Bottom. Sorry to have to talk about such a personal thing but if down the line someone follows this blog and are on Keytruda they will know what can go wrong. Boy I feel down until I can find out tuesday what cream to use. I have read this can happen when the Immune system is out I wondered if the drug was boosting mine up to much. I have read a USA forum and they say that some of them have a rest from the drug after 2 years and go back on it. I worry if they took me off of it they wouldn’t put me back on again. Met up with a Lovely friend who has moved from Scotland to Kent and so we met up for a coffee I found it hard to lift the cup up and not knock it over myself. 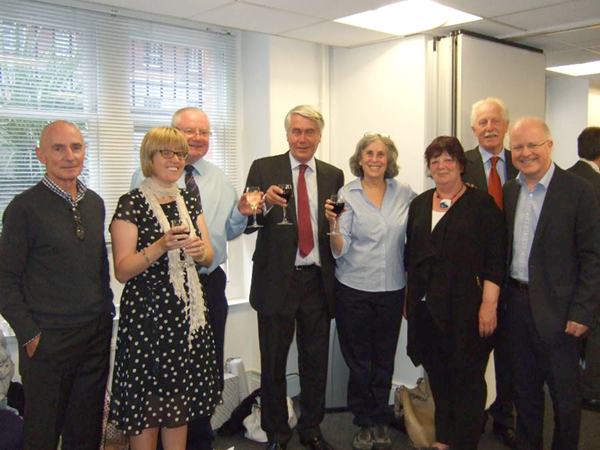 We had a lovely catch up as the last time we met was at Meso Uk Conference. 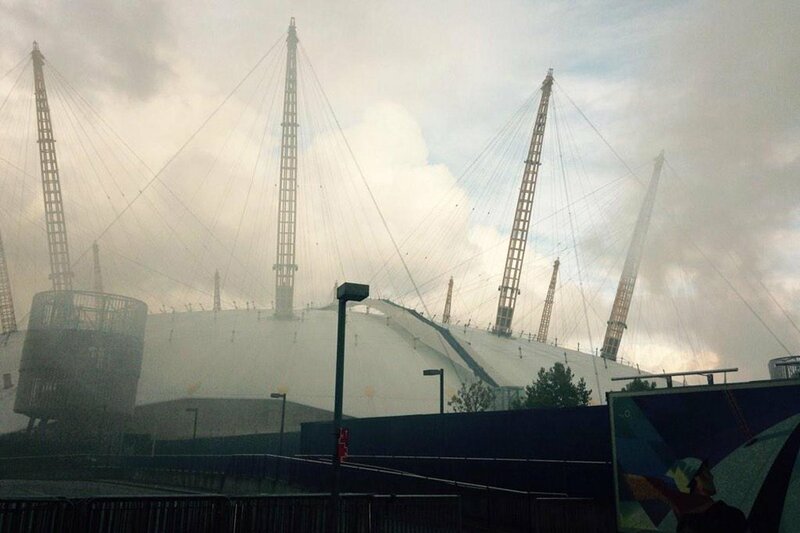 I love the dome although its now the O2 where so many concerts are held so many well known stars entertain. 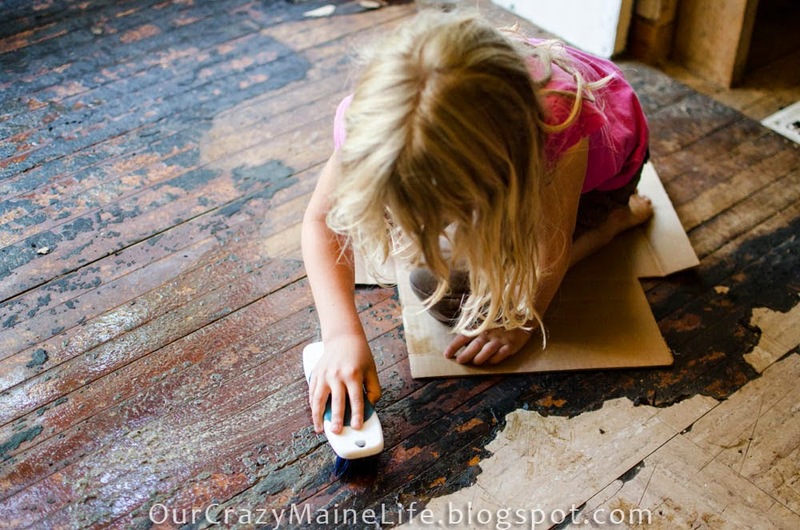 I cannot believe that a parent could be so dumb as to allow themselves to pull up Asbestos tiles, where the asbestos is in the bitumen adhesive even has asbestos in, but to let their children do it is beyond belief. The blog is a year old so the harm will be going on in their body and wont show until they are 20/50 years older. I have left a comment of coarse. And before anyone freaks out about the kids helping to remove them, Hubby is experienced in home renovations. He’s been working in this field of work for nearly 20 years, and we did our research to find out the risks before hand and we found out that unless we were grinding it up, it was fairly low risk and doing ONE floor was highly unlikely to cause anyone any damage. Most of these tiles were breaking up into good sized pieces and we got many that came up in strips of 2 or more tiles! I had a picture…. but I accidentally deleted it thinking it was on the computer… but here’s one showing how important safety is! We couldn’t find any safety glasses, so we went for stylish instead. —- Oh so that’s ok then so what about a mask and protective clothing she really is being very silly risking their lives like this. Today we have received great news that must be making Michael Lees so happy. Michael Lees’ wife Gina was a nursery school teacher. She was exposed to asbestos at school and died of mesothelioma at the age of 51. It soon became clear in his investigation into his wife’s death that the lack of asbestos management and the resultant exposures of staff and pupils in schools is a national problem. In the twelve years since her death he has campaigned tirelessly to make schools safe from the dangers of asbestos. His research has been extensive. He has investigated the widespread use of asbestos in schools, the failure of many schools to effectively manage their asbestos, and the increasing deaths of teachers and support staff from mesothelioma. He has highlighted the particular risk to children. He has written extensively on the subject and has had many articles published in both professional journals and national and local press. He has given many interviews on national and local TV and radio programmes. He lectures widely and has given presentations at asbestos, health and safety, medical, legal and parliamentary conferences. He has received a number of awards for his work. Michael worked with the media to bring the issue to the public so that they are aware of the potential for their child or themselves being exposed to asbestos at school. He wants openness so that parents and teachers are able to assess whether asbestos in their school is being properly managed. He retired this year as he could see that IAS had got through at last to the Government. It is great news for us all that have been raising Awareness to have Asbestos out of our lives and so maybe this might be achieved before 2030 that is one hell of a work load but I pray it is achieved. At least peoples re talking our talk so lets hope they walk the walk and achieve . 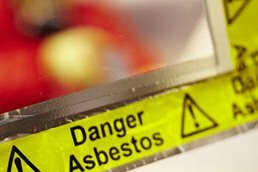 A report published by the All-Party Parliamentary Group on Occupational Safety and Health calls for urgent action to address the legacy of asbestos that remains in Britain’s workplaces and public buildings. 5,000 people die prematurely every year as a result of asbestos exposure. This is around three times the number of road accident deaths. Almost all of the people who are dying now were exposed to asbestos decades ago and asbestos is now often wrongly seen as being a problem of the past as its importation and use has been banned since 1999. However asbestos is still with us and it is still as dangerous as ever. Asbestos Containing Materials can be found in around half a million non-domestic premises (and probably around a million domestic ones). Simple regulations for managing asbestos in the workplace, however good, will never protect workers from risk. So long as asbestos is found in any place where someone could be exposed there will be a danger. The only way we will eradicate mesothelioma in Britain is by removing asbestos. That will not be easy and there is a need for a realistic timetable, but work towards that should start now. The All-Party Parliamentary Group on Occupational Safety and Health believes that the time has come to put in place regulations requiring the safe, phased and planned removal of all the asbestos that still remains in place across Britain. Only that way can we ensure that future generations will not have to experience the same deadly epidemic from asbestos-related diseases that we suffer today. If we are to protect future generations from the risk of exposure to this deadly fibre, the All-Party Parliamentary Group believes that we need a new law on asbestos with a clear timetable for the eradication of asbestos in every single workplace in Britain. • All commercial, public, and rented domestic premises should have to conduct, and register with the HSE, a survey done by a registered consultant which indicates whether asbestos containing material is present, and, if so, where it is and in what condition, to be completed no later than 2022. • Where asbestos is identified in any premises, all refurbishment, repair or remedial work done in the vicinity of the asbestos containing material should include the removal of the asbestos. Where no such work takes place, or is planned within the foreseeable future, the dutyholder must develop and implement a plan for the removal of all asbestos which ensures that removal is completed as soon as is reasonably practical but certainly no later than 2035. In the case of public buildings and educational establishments, such as schools, this should be done by 2028. • The HSE, local authorities and other enforcing agencies must develop a programme of workplace inspections to verify that all asbestos containing material identified is properly marked and managed, and that asbestos eradication plans are in place and include, as part of the plan, an acceptable timeframe for the eradication. Resources should be made available to the enforcing agencies to ensure that they can ensure that all workplaces and public places are complying with the regulation relating to management and removal, and that disposal is being done responsibly and safely. • Before any house sale is completed, a survey should be done which includes a survey of the presence of asbestos. Any asbestos containing material should be labelled. Information on the presence of asbestos should be given to any contractor working on the house. “There is far too much complacency about the asbestos which we can still find in hundreds of thousands of workplaces as well as a majority of schools where children face exposure to this killer dust. A diary of a Mesowarrior living with Mesothelioma— Well the Flats in Glasgow are down, update on Ketruda trial, The Peak will not be hit in 2016 BBC your report in 2012 was wrong. It has been a very busy weekend as I watched the Demolition of the Red Road Flats on Facebook with many of the residence. They had waited all day as they couldn’t get some protesting residents out. All of a sudden the flats just went I didn’t know at the time that there supposed to be a helicopter fly over that was the signal they would be ready and then a siren should have sounded. This was missed out as they Council had been warned that the protesters were going to take over at that point, hence the flats went up with no warning. Another message was the nursery opened on the Monday. I do hope they clean it thoroughly. It is unknown to some people that cement if it, came from China has asbestos in it so the dust is so dangerous as it spreads up and out after the explosions. Well the deed is done but lets hope and pray that in a few years there isn’t a hot spot of Mesothelioma. My drug is now causing the itching that I have been warned of. In the middle of the night when, it gets warm under the duvet. All together 6 patients have died from the drug treatment other than their cancers out of 306 patients from 22 cancers. I have been so happy that my side effects have been slight but I suppose that isn’t right for everyone. There is a sentence that says now that if you have been stable for 24 months you can be taken off and monitored well afterwards. I don’t think this applies to me as it has been agreed I go on all the time I feel well and have no side effects. I will be discussing this on my next visit. Lee speaks on evidence that the West Connex Delivery Authority is violating environmental regulations, including the removal and storage of asbestos contaminated soil. We need more Politicians like this talking for Asbestos. especially as when in 2012 the BBC announced, when talking about DIY that the peak will be in 2016, Oh dear all this guessing when we are really nowhere need that Peak that they keep talking about. I contacted the BBC and asked them to do a update. It was such an effective material for insulation and fire-resistance it was used everywhere: in cement, to insulate pipes, ceilings and wall cavities. It was only after decades of use in a wide variety ways that people noted the link between exposure to asbestos fibres and a number of different lung diseases – particularly the aggressive, cruel chest cancer mesothelioma. Asbestos fibres can lie dormant in people’s lungs for anywhere between 15 and 50 years after initial exposure. Both figures suggest that, as the initial furore over asbestos and health has subsided, so people ‘s awareness of the danger it presents is fading. Gosh its not for the want of trying as Mesothelioma warriors that I know of are always raising awareness. USA, Canada, Australia and most of all My Uk mesowarrior friends we all shout from the roof tops. We all give speeches at conferences etc etc . Lets keep our people around the world safe from Asbestos. Bit of a lazy day . Not felt like doing much. Watched a couple of TV films. Its been cold again. Good news is Louis seems to be back to normal. I think the squealing was a pulled muscle in his leg. He does go raving mad when the postman comes. Mats go flying in all directions. He jumps up onto the back of the sofa and peers out the window ,next he is tearing down and heading for the front door mats sliding in heaps. Back and forth he goes barking like a maniac, I recon he jumped a bit awkward. But he is ok today.